When one thinks about the leader of a team on the field, the first inclination wouldn’t likely invoke anyone drudging away in the trenches of the offensive line. Moreover, an undrafted rookie who didn’t even play a game with the team who drafted him. But if you closed the book at that point on a young Jeff Saturday, you would not only miss out on the career of an elite NFL talent, but someone who exemplifies leadership on and off the field. Saturday was an essential anchor point to the success of the Indianapolis Colts during his 11 year career. As the Center for their offensive line, he was its voice, working with his quarterback to identify protections necessary to keep the signal caller, and by extension his team, in the best possible position to succeed. These on-field responsibilities could be a metaphor for what Saturday accomplished in his role as a team player rep and executive board member of the NFL Players Association. When it came to serving as an mainstay for the organization, the Pro Bowl caliber Center described it best himself, “. . . The biggest role that I’ve had being a part of this Association was when men in my locker room voiced their opinion and what they cared about. I was to take that further. [It] just didn’t stop there; It wasn’t just something I heard and just said, ‘Oh, I hear it, but I may not personally agree with it, so I’m gonna stop’. It was, ‘Now I’m gonna take this’ — carrying those men’s convictions from this meeting to the player rep meeting . . . And then to the Executive Director”. It could be said that Saturday, as a member of leadership in the NFLPA, saw every player as a proverbial QB whose grievances and concerns served as play calls which he would do his best to run; working to protect the interests of not only of the individual player, but any who may have been affected by similar issue. There’s no better case to observe this in him than the negotiations surrounding the 2011 NFL lockout that threatened to forego that year’s season. While money and salaries were a concern in this dispute, it was far from the only item discussed within the talks between the players and owners of the league. As Saturday described it, the O-lineman’s instinct to protect his teammates seemed to ring through. He then continued while citing some examples, “to watch as our game has progressed with [helping] with concussions to field management to practice schedules being reduced, hitting being reduced . . . no more 2-a-days ever ; That guys will enter the NFL and never do a 2-a-day. Those are the things that I probably care most about. And more for the longevity of a man’s career and then also coupling that with his future; then at the end of his career he has something else to look forward to because his body won’t be so mangled and mashed from the years of service that he had in the NFL. That he will have something to transition to and be excited about it and not have to worry about the lingering effects of what the game can leave you with”. It’s one thing to push policy in board rooms, but Saturday also spoke of his role as a veteran player and high level member of the NFL PA inspiring him to share his experiences with his younger peers. He explained that his method to do that, “. . . You have to go back to the history. I think you have to go back to sharing about my experience; about other guys’ experiences who have played in the game before you, and explaining to them that [it] used to be that . . . if you were drafted to the Jets and [someone else] was drafted to the Colts, [the Colts] . . . camp was ‘cake’ because of Tony Dungy. We didn’t do 2-a-days very often. The way that he ran his camp made it very player friendly. And then you may be drafted to a place like the Jets and they were hitting 2 full practices every day from when camp started to when camp broke for the first game. When you watch the way it affects men’s careers . . . they don’t have a choice where they’re drafted so they walk into a team where their rules are completely different from my [team’s] rules. And from a player’s perspective you wanna defend those who can’t defend themselves. You can’t protect yourself from where you are drafted”. Jeff Saturday’s role as a guardian within causes and organizations extended beyond the world of football with “Camp Saturday”, which in conjunction with the Peoples Burn Foundation, supports burn victims and their families who have been affected by burn injuries. Overall, as Jeff Saturday concludes his tenure in the NFLPA Executive Board, his mark as a leader is one that will be remembered for years in NFL history. 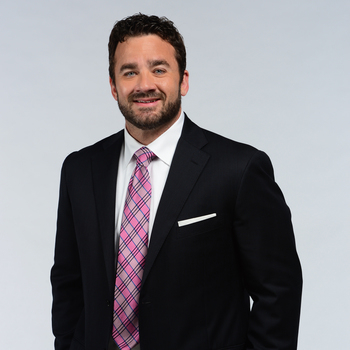 For more information on how to book Jeff Saturday for your next event, visit premierespeakers.com/jeff_saturday.